Xi Jinping and Li Keqiang’s core constituency consists of China’s roughly 3,200 local party leaders. Who are the people that matter most to Xi Jinping and Li Keqiang? Who are the `core constituents’ that they have to keep on their side in the coming months and years as they govern a China that is on its way to becoming a middle-income country in the next decade? 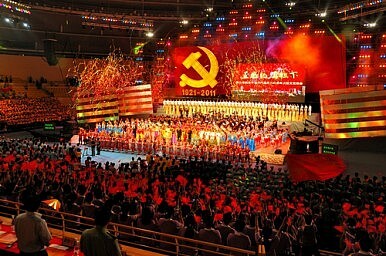 Of course, the Central Committee of the Communist Party is immensely important to them. But with just under 400 full and alternate members, it remains a drop in the ocean of the vast polity they preside over. In many ways, the Central Committee lives or dies on the fortunes of Xi and Li, and so they are the most deeply embedded and integrated of all the forces the top leadership needs to control. The business elites are important, because wealth is so closely linked to power in this system, and the day the Party is not seen as creating this wealth is the day that the true loyalty of its citizens gets tested. It is unlikely that this loyalty is anything more than opportunistic. Thus, it is crucial that the state play an irreplaceable role in state and non-state businesses’ profitability. But once more, the synergies between big business and political elites are so deep that they sink or swim together. Farmers, migrant laborers, and the 80 million plus members of the Party itself are also all key groups for the Xi-Li leadership, and each one has a set of discrete demands—from land rights, to more social welfare and better life opportunities—that the political elite needs to pay attention to. But in many ways, these groups lack cohesion. Provincially and sub-provincially, they fracture into a million different pieces, and do not see their separate anxieties or demands as linked to those of others. The Wukan protests in 2011 were about Wukan issues. The protesters never said they were related to other similar protests elsewhere in the country. These generic networks are, for all their superficial vastness, highly localized and for that reason fragmented. This is the clue to who matters most to this leadership. The true foot soldiers of the political and economic program of Xi and Li are the people who have the most power in the current system – the local party leadership. This includes the heads of the 2,862 counties, 333 prefectures and 31 provincial-level divisions (not counting Hong Kong, Macau, and Taiwan). Put this group of just roughly 3,200 together, and you have the most important constituency of all for Xi and Li. The loyalty and competence of provincial leadership in contemporary China is critical. Many of the key leaders from this group in fact sit on the Central Committee that is meeting in Beijing currently for the Third Plenum of the 18th Party Congress. The messages they take away will be the most critical. Other attending groups, from military to central ministries, are critically important – but the ones that will have the most influence on the country’s stability in the coming decade will be local party heads. They will need to interpret and implement Xi and Li’s orders and meet national targets in a continent-sized country which, in many ways, is no longer properly governable in its current centralized model. Decentralization of fiscal and political powers in China must be one of the most tempting options for Xi and Li. The sheer difference between provinces in the west, central and eastern areas of the country in terms of their economic, social and ethnic characteristics might be reason enough to contemplate a swift devolution of powers away from Beijing. Despite this, the chaos in the former Soviet Union before and after its collapse as it undertook a similar process gives Chinese leaders plenty of cause for caution. Whatever decentralization of powers Beijing eventually decides upon, some of which may well flow from the November Plenum in 2014 (though as a closed meeting, the outside world may take some time to find this out). The people who sit at the heart of this process, on whose loyalty Xi and Li most rely, are the 3,200 local Party leaders of China. Their powers are likely to expand along with their importance as politics in China enters an era of deeper localization. It is this group of leaders that Xi and Li put the most effort into addressing and building common ideological and political links to. If this group wavers, then so does the whole stability of the project they have embarked on – the creation of an urban, service sector-driven, high consumption, and decentralized economy and polity by 2020.